Black 100% cotton canvas tote. Extra long natural web handles, reinforced at stress points. Measurements: 20" x 15" x 5". 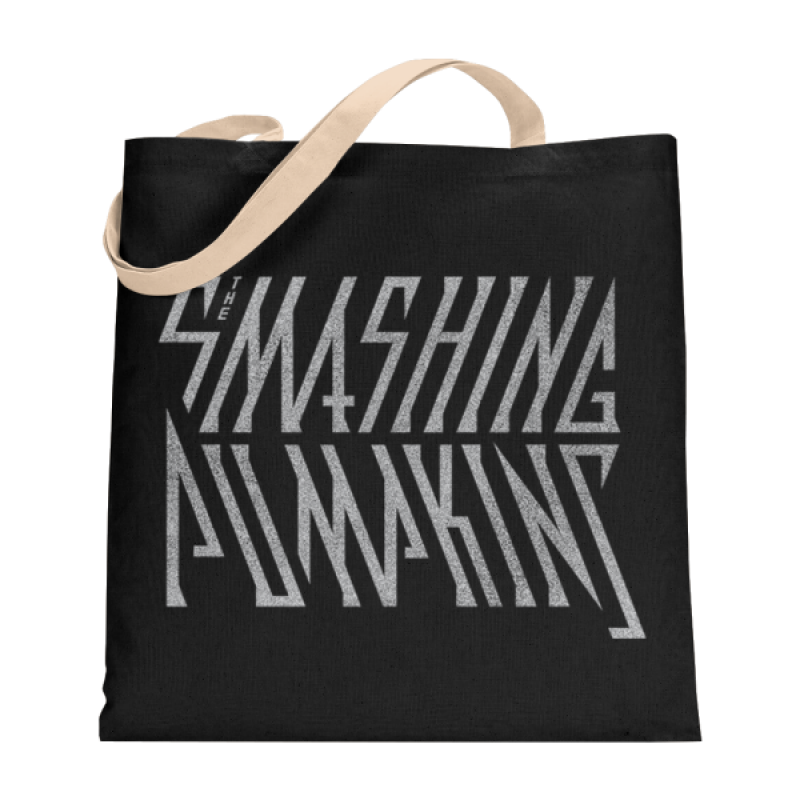 Features the Smashing Pumpkins' Shiny and Oh So Bright Tour logo.